British tourists streaming into India will now be required to use their fingerprint as their security access into the country. 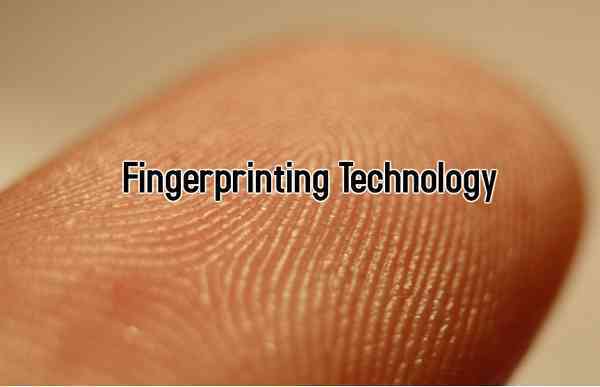 India announced and legalized the practice to commence on March fourteenth; fingerprints will now be a necessary requirement and officially be included as a security feature on all British visas. The telegraph, a British news paper reported that the UK is opening fourteen centres to begin processing tourists fingerprinting visas to fulfill India’s recent requirement. Tourists within the UK will queue at the various centres to ensure that the fingerprinting security feature is attached to their visas. This motive and move by the Indian government has greatly infuriated the British since tourists’ visa requirements for other countries were recently relaxed. Tourists from the UK had this leveled against them while all other tourists from different countries were allowed entry without the fingerprinting security feature and also had their visa requirements relaxed. The Indian High Commission announced their decision on their website without giving any reason to support their biased decision. Speculations keep running through to decipher the reasons behind their biased decision though not a single uncontested fact has been reached and all reasoning still remain rumors. Numerous people all around the globe keep throwing in wild suggestions of what could have triggered such a decision from the Indian High Commission but all have been kept at arm’s length and still handled as rumors. The Indian High Commission in addition instructed all British applicants on its website to be physically present at India Visa and Consular Services centers. ABTA and ASTA are said to file a complaint over the new biased rules. According to the telegraph it was stated that the Association of Tour Operators had said that, even though the changes were meant for the good of both parties without any ill intention, the current move as it categorically stated is quiet unfortunate. Facebook, Google to Join Net Neutrality Campaign in the U.S.